A milestone gathering of one hundred eleven (111) Filipino leaders from 12 European countries was held on September 30 – October 1, 2017 in Essen, Germany during the European Conference of Filipino Diaspora organized by ENFiD entitled, “Kung sama-sama, Kayang-kaya” (Together, We Deliver). With the theme: Strengthening European Filipinos as Agents of Socio-Economic and Cultural Change in Europe and the Philippines and Empowerment of the European -Filipino Youth as Development Leaders within the Mainstream Filipino Communities in Home and Host Countries, invited Filipino experts on Migration and Development spoke about various ways Euro-Filipinos can contribute to sustainable development in the Philippines. 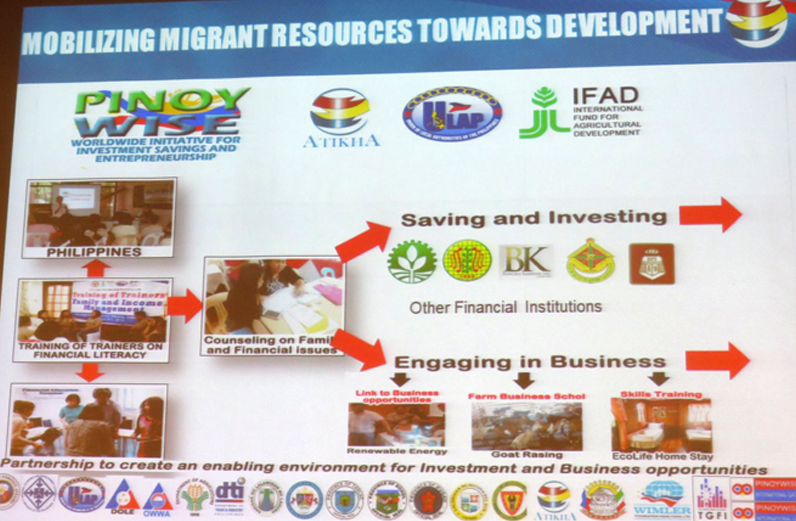 Discussions were also held on how Europe-based Filipinos can profile their contributions in the host countries so that there will be a balance of information about the significant roles of the diaspora in global economy covering both their representations in the host countries and the countries of origin. HE Ambassador Melita Sta. Maria-Thomeczek of the Philippine Embassy in Berlin welcomed the participants and called on them to become peace messengers and peacemakers. She noted that there is one goal that unites them: to make life better for Filipinos in their home and host countries. 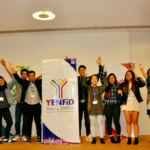 She lauded ENFiD’s efforts to engage young European Filipinos in their activities and reported about the Lakbay Aral cultural immersion program of the Commission on Filipinos Overseas (CFO) for second generation European Filipinos. 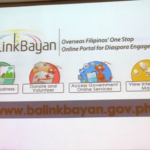 The Philippine Embassy launched the program in Berlin last year. It invites 18-25-year-old Filipino Germans to visit the Philippines to rediscover their Filipino roots and better understand the country and its people. The program is important in terms of encouraging the youth to become peacemakers and agents of change for the country, said Ambassador Sta. Maria-Thomeczek. She added that the program has been amended by CFO to make it more affordable among potential participants. Ms. Grace Princesa, Assistant Secretary of the Department of Foreign Affairs in Manila, acknowledged in a video message the importance of ENFiD’s work in organizing Europe-based Filipinos and pledged her support to the organization’s future initiatives. Philippine Ambassador to Israel Nathaniel Imperial talked about the sanctuary that was given by the Philippines to Jewish refugees fleeing Nazi-controlled European territories in the late 1930s to 1941. 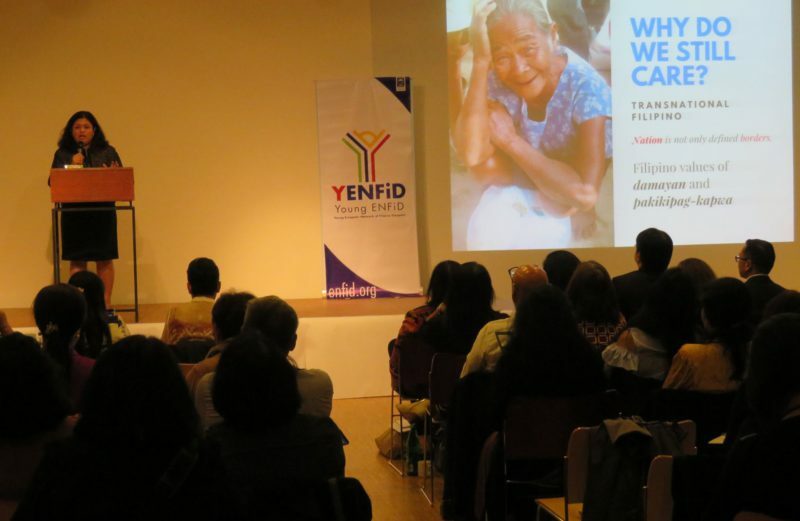 He presented the documentary film “An Open Door” about more than 1,300 European Jews who took refuge in the Philippines to escape the Holocaust. “It was a time when our moral compass pointed at the right direction, when human compassion and hope prevailed over hate and prejudice,” said Imperial. He added that the Philippines and Israel now enjoy strong bilateral relations. Filipinos enjoy visa-free entry into Israel, not just for 21 days but for 90 days, he said. Atty. Cecilia Jimenez-Damary, UN Special Rapporteur on the Human Rights of Internally Displaced Persons, joined the conference live via Skype and discussed the current situation of human rights in the Philippines. 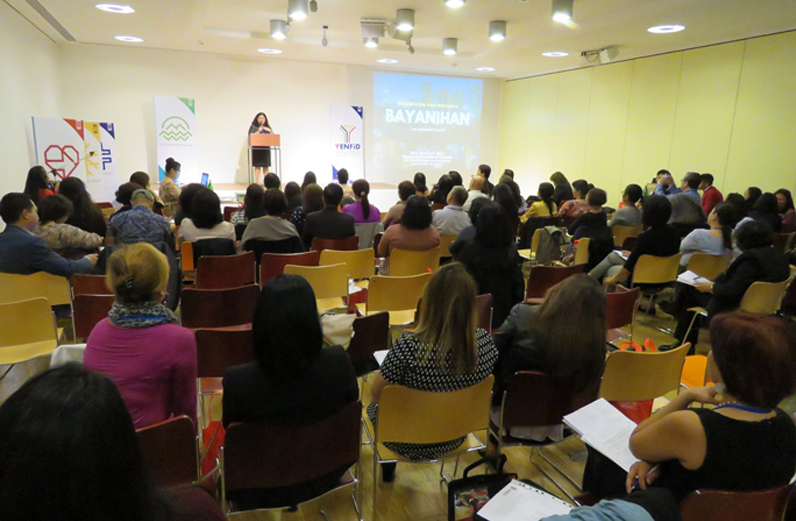 One of the highlights of the conference was the Youth Forum attended by young participants of Filipino-European origin. They later launched YENFiD or Young ENFiD and agreed to further strengthen contact with one another. They now plan to organize a youth camp with a leadership training component. 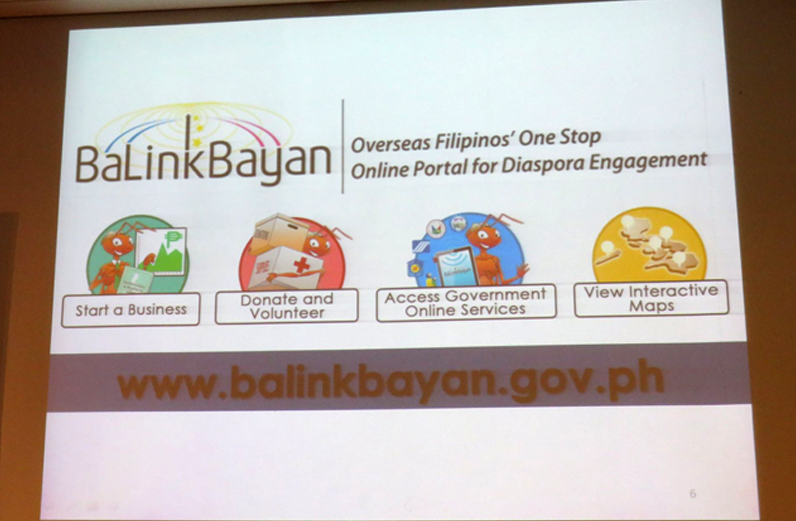 As guest speaker of the Youth Forum, the Officer-in-charge of the Commission on Filipinos Overseas (CFO), Ms. Regina Galias, discussed how the youth can get closer to their Filipino heritage and the CFO program in engaging the Filipino diaspora youth in the Philippines through an exchange program. Another speaker, Ms. Melanie Baturi of Ala Eh Germany, talked about her own experience as a second-generation Filipino. 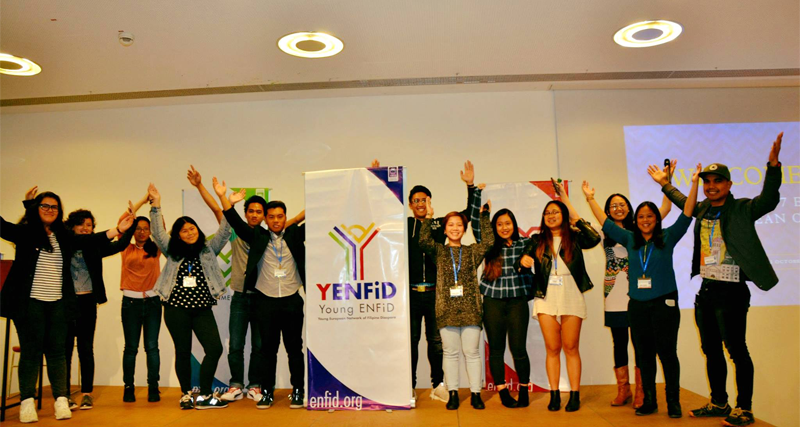 When it comes to the discourse on integration of Filipinos in Europe, ENFiD should take the lead in critically defining factors that promote as well as impede integration and provide guidelines about this. The ENFiD website can be used as repository of these information. 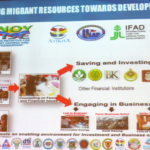 ENFiD can collaborate with the Philippine Embassies in anchoring post-arrival seminars for new migrant Filipinos and include in these seminars input about integration and leadership. ENFiD should also promote participation of Filipinos in politics at the local, national and European levels. The workshop on the Euro-Pinoy Senior Citizens where Ms. Diana Oosterbeek-Latoza of Bayanihan Foundation in the Netherlands spoke resulted in a lively exchange of experiences and ideas and produced recommendations for ENFiD to (take the lead in) conducting research on the situation of the Euro-Pinoy Senior Citizens, to coordinate and advocate measures on urgent security and retirement issues like portable health and social security insurances and to provide support to psycho-social issues such as fear of going home, climate adjustment, loneliness and reintegration issues (should they decide to go back home). 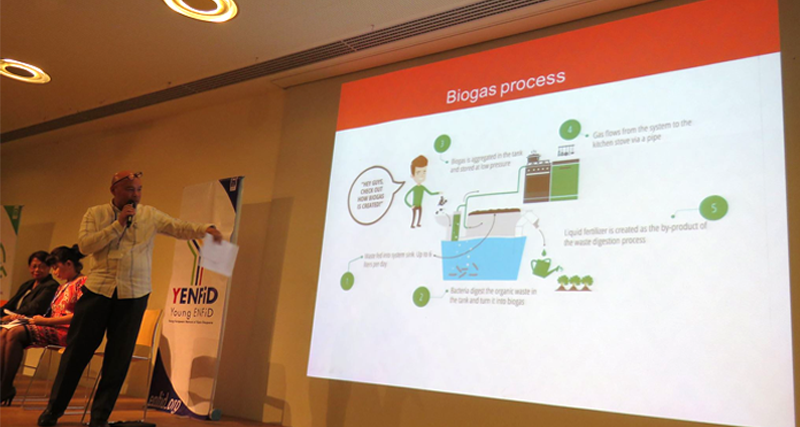 Workshop participants recommended that ENFiD set up a program called S-ENFiD to put a structure to the sustained attention of the organization for the Euro-Pinoy senior citizens. The newly launched Sports Committee of ENFiD aims to bring together Euro-Pinoys in camaraderie and team-building spirit. It is recommended for this Committee to organize inter-country sports festivities. 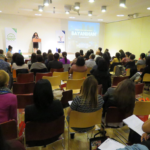 Conference participants likewise recommended that ENFiD takes the initiative in mapping Filipino artists in visual and performing arts to promote and showcase Filipino art and culture in Europe. 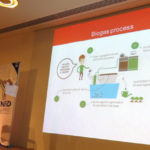 The self-funded conference culminated in a joint statement of the participants with the above-mentioned highlights from the workshops that could be a reference in drawing the new action plan of ENFiD. Founded in Rome in 2012, ENFiD is a non-profit organization which is non-political, non-partisan, non-sectarian and comprising of Filipino community leaders in Austria, Belgium, United Kingdom, Germany, the Netherlands, Switzerland, Norway, Sweden, Iceland, France, Italy, Czech Republic, Romania, Denmark, Malta, Ireland and Israel. Its members are organized through national ENFiD country member organizations.